Just when we think we’ve seen every permutation of common production methods and materials under the sun, someone comes up with a new one. 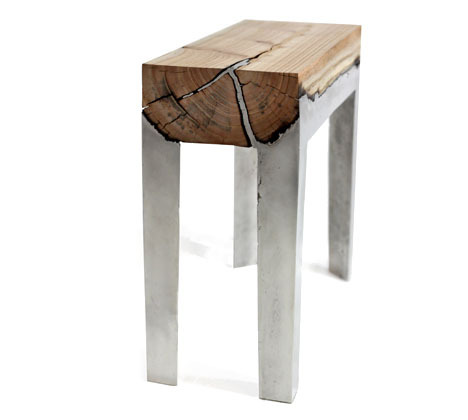 Israeli industrial designer Hilla Shamia’s “wood casting” technique involves pouring molten aluminum directly onto dead tree trunks. The surface of the word gets burned, as you’d imagine, and the molten metal flows into the cracks, “completing” the voids in the wood with a shinier surrogate.